Another book which I have found really illuminating and helpful in my thinking is Recovering the Scandal of the Cross by Joel Green and Mark Baker. The cross is the defining symbol of the Christian faith. Yet the Roman cross was primarily a shameful instrument of execution. For early Christians, the cross was a scandalous blessing, a mystery which could not be easily defined and understood. As Joel Green and Mark Baker demonstrate, the New Testament has a rich variety of interpretations of the cross. They talked about the ‘scandalous’ cross in the language of everyday realities and relationships. But for many Christians today, the true scandal of the cross has been obscured, the variety New Testament interpretations have been reduced to subpoints in a single, controlling view of the atonement. Tragically, the way in which the atonement is frequently and popularly expressed now poses a new scandal, one that is foreign to the New Testament and poses needless obstacles to twenty-first century peoples and cultures. 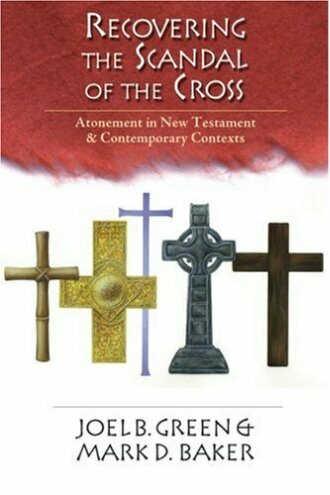 This book is a challenge to us to see again through new eyes, or different lenses, the death of Christ in the New Testament and to reconsider how we can faithfully communicate with fresh models the atoning significance of the cross for specific contexts today. For me, the additional exciting element of this book was a chapter considering a new model for the atonement which sprang from Japanese culture with its particular emphasis on shame. I have been enjoying an embarrassment of riches! This entry was posted in Shame, Grace, and the Cross on December 3, 2013 by rogerfarnworth.